Created in 2006 the centre was funded as part of the £1.2m Cromer Community Economic Regeneration Package through the East of England Objective 2 European Union Structural Funds programme and the East of England Development Agency, with other contributions from Norfolk County Council, North Norfolk District Council and Cromer Town Council. 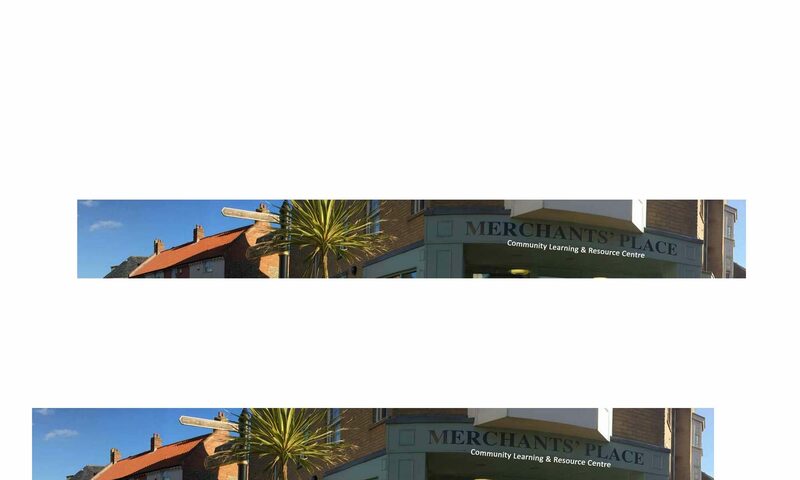 Merchants` Place Ltd is a non-profit making company, generating all of its income through room hire and business service provision. All revenue is invested back into the Centre to provide services for the community. Access to Opportunities – supported by Big Lottery Fund – Providing intensive, tailored employment support. Yes We Can – Supported by Victory Housing Community Fund & Geoffrey Watling Charity – To provide literacy, IT and social interaction for isolated adults with life affecting conditions. North Norfolk Volunteer Hub – Supported by Cromer Town Council – seeking further funding and sponsors – Recruiting volunteers and matching with local organisations to assist in community groups/projects. In Good Company – supported by Merchants’ Place – A friendly social group for adults to alleviate loneliness. We are currently seeking sponsors to extend our projects above. You could help by sponsoring one of our rooms. As a sponsor a plaque with your company name and logo will appear in the centre and on all our correspondence, website, newsletter and social media activity. We will regularly produce editorials for the local press reporting on the projects accomplishments aided by our sponsors.